From Europe all the way to Africa, cricket is enjoyed, played and watched by millions. Just look at the star-studded international cricket competitions hosted by various nations, and you will realize one thing: the sport has a great history. History books claim that the sport was first recorded in England in the 16th century, and it was initially played in farm communities and grammar schools. However, it was not until the 18th century that cricket was recognised as a great sport and a betting opportunity by nobles. Since high stakes were being wagered, coming up with the rules of the game became necessary. The first cricket laws were naturally printed on a handkerchief, which is safely kept in the MCC Museum in London. The oldest fixture (permanent) is the match between Eton and Harrow, which is played annually since 1805. In 1877, the world was treated to the first international match (dubbed “Test”) in which Australia played against England in Melbourne. Australia won the match. In 1882, the two nations met again at The Oval, London. This was a mouth-watering clash of the titans in which Australia recorded their first ever win on English soil, and the match was christened the Ashes. In the aftermath of this clash, an obituary was published in the newspapers to “mourn” the demise of cricket in England. In 1981, England played against Australia in another Ashes match for the third time in what is perhaps the most famous cricket match in the history of England. 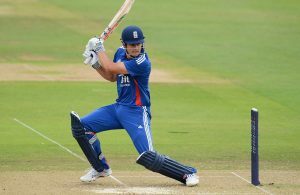 The match was played at Headingley, and the odds of England emerging winners were 500-1 at some point during the game. The match later turned on its head, and England earned an 18-run victory, bringing their poor form against Australia to an end. After 104 years of losing, England had made history as the first side to win a cricket match after following on.